Welcome to the July 2018 Lenscraft in Focus newsletter. The big news this month is that the Nik Collection is back, relaunched by DxO. To celebrate, there’s quite a few Nik related articles in the newsletter. Once, a long time ago, The Nik Collection was owned by a company called Nik Software. At the time, their products were considered to be far ahead of their competitors, but they also cost a lot of money. 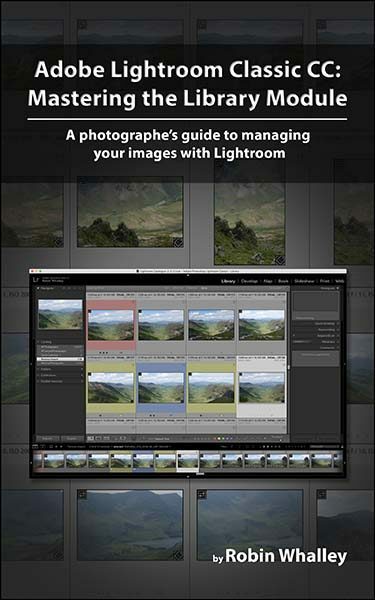 If you wanted to keep the cost down, you could buy a Lightroom only version of the collection. Alternatively, you could invest in some of the individual products like Viveza and Silver Efex Pro. In 2012 Google acquired Nik Software and the Nik Collection. Initially this looked like good news for photographers as Google dropped the price of The Nik Collection and gave a full version to anyone who had an individual product or the Lightroom only version. They also issued a refund to anyone who had bought the software at the higher price in the past 6 months. Google then began releasing improvements to the software and even a new product, Nik Analog Efex Pro. This was soon followed by Analog Efex Pro 2, but then new developments slowed. Much of the effort seemed to be directed at solving bug, with few if any new features being released. Unfortunately, there were new and serious bugs creeping in to the software that left some features (e.g. the Brush Tool) unusable. In 2016 Google made the Nik Collection free to download and use for everyone. A lot of people were happy about this, but a lot also became concerned for the future of the Nik Collection. Why would Google continue to develop a free product if they weren’t going to make any money from it? Finally, in 2017 Google announced development and support of The Nik Collection would cease. The Nik Collection was dead, and the expectation was that it would fade away over time. The surprise news came at the end of 2017 when DxO announced that they had acquired The Nik Collection Assets from Google. Their first move was to integrate the Control Point technology from The Nik Collection, into their existing DxO PhotoLab software. Most notable though was that they announced their intention to release a new version of The Nik Collection in 2018. In early June 2018, the new version of the Nik Collection was launched to a rather mixed reaction from users. You see, very little has visually changed in the software. The visual interface looks the same and the features are the same. The difference though is that the software now uses the latest code libraries and DxO has cleaned up a lot of bugs that were introduced by previous developers. The other big development is that you now need to pay for this software. Some people have attacked DxO for this but in all honesty, you can’t ask one company to clean up the mess caused by another. At least you can’t ask them to do it for free. We should also mention that as soon as DxO realised the state of the software, they made it was very clear the initial release would be to clean up the software and ensure it was stable. So, the big question remains, is it worth the cost? Is the Nik Collection a large part of your photo editing workflow? If you hardly use the software and prefer to use other editing tools, then the cost isn’t likely to be justifiable. But if you constantly turn to the Nik Collection when editing, you should consider it. Are you experiencing issues with the old free version? For some, the old free version appears to work fine whilst other people have regular problems trying to use it. Personally, it’s always worked for me on both my PC and Mac and I have found it very stable. But if you do experience frequent problems, consider upgrading. Do you upgrade your other software frequently? If you do, you might find the free version becomes obsolete very quickly from this point. There are though a lot of people who are still work with old operating systems, using old versions of Lightroom, Photoshop or Elements. For these people the old version may continue to work fine for some time. In my case, because I always keep my computer Operating System up to date and subscribe to Adobe CC, upgrading the Nik Collection should extend the useful life of the software. 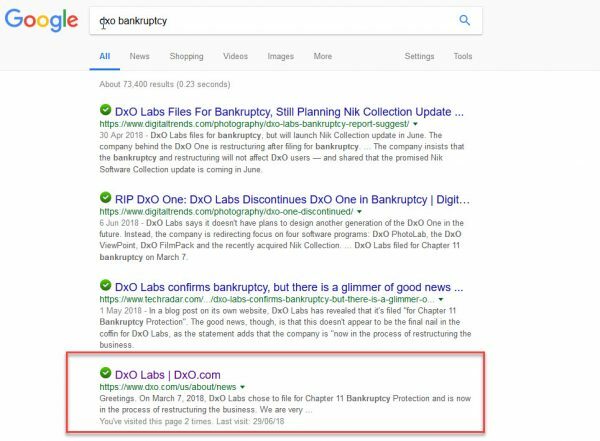 We should also consider that DxO filed for Bankruptcy protection, a story which appeared on the DxO website for a time but seems to have been taken down. But if you search for “DXO Bankruptcy” you can still see the link to the missing page. In the end, I decided I would buy the new Nik Collection by DxO for one reason. I want to support the company and hope they will continue to develop the Nik Collection in the future. You can hear this and see a couple of the plugins being used in my You Tube video. If you like the videos, please be sure to click the “like” thumbs up like button in You Tube. Will the Nik Collection 2018 Work with Affinity Photo? With Adobe moving to the SaaS (Software as a Service) business model where you rent software, a lot of photographers have been searching for an alternative. One very popular (and very capable) alternative is Affinity Photo from Serif. But what if also want to use the Nik Collection for your photo editing. 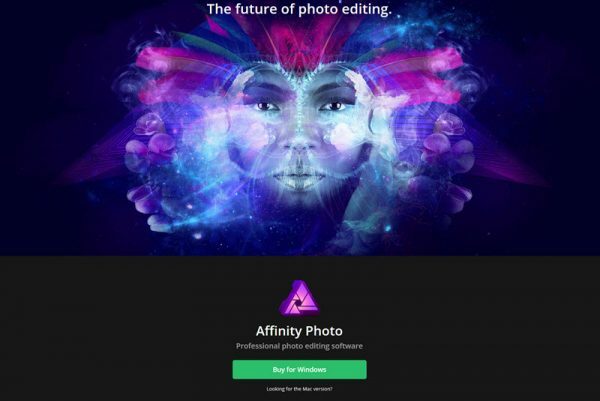 Will the latest version of the Nik Collection work with Affinity Photo? In this article and video, I explain how you can install the Nik Collection to Affinity Photo. If you already have the Nik Collection installed, don’t worry, I also cover a solution for you. Or, if you just want to watch the video, use this link to You Tube. Whilst you can use the Nik Collection from Affinity Photo, you sometimes encounter colour problems. This video explains these as well as how to avoid or work around them. If you like the videos, please be sure to click the “like” thumbs up button in You Tube. Did you know that the Nik Collection can be used as stand-alone editing tools? You don’t need to use a host application like Photoshop or Lightroom. For a little while it appeared that the new Nik Collection by DxO had removed this feature. Fortunately, this isn’t the case. I realise not everyone wants to use the Nik Collection for photo editing. 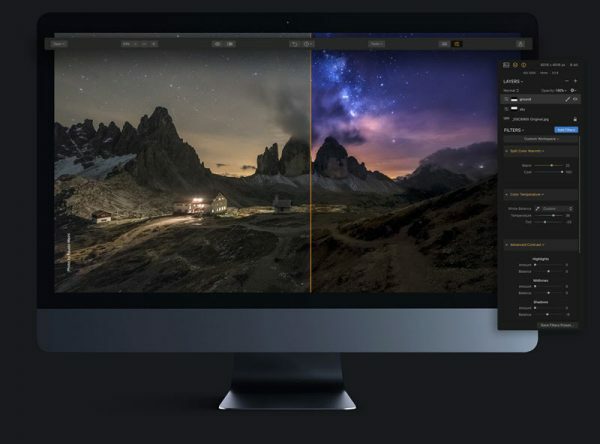 One very good alternative that’s been suggested to me is Luminar from Skylum Software. I have tried the latest 2018 version on both Windows and Mac and I love it. Here’s a short editing example I posted on You Tube and I will be doing more in the future. Since then, I have been in touch with Skylum who have generously offered a $10 discount of the price of Luminar 2018 (it currently discounts the GBP price by £9 and I assume other currencies by a similar value). To receive the discount, enter the Coupon Code LENSCRAFT at the checkout. In May’s newsletter I included an article about 3D LUT Creator and using it to develop your own LUT’s. In case you’re not aware, LUT’s are one of the latest technologies breaking onto the photography scene. 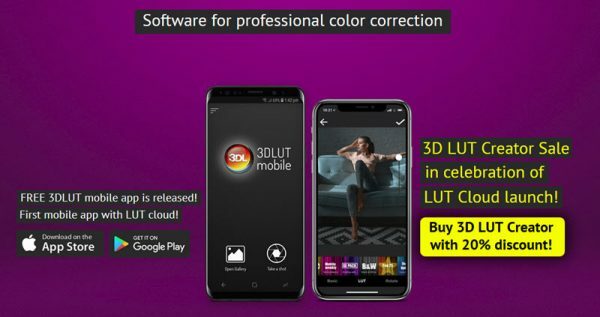 The latest news from 3D LUT Creator is that there’s now an editing app which you can download for your phone. What’s nice about the app is that it supports regular photo editing and isn’t just geared to applying LUT’s. You can of course use it to apply LUT’s (some good examples of which are included) and if you have the 3D LUT Creator desktop, it will synch with that also. Once you have made your photo edits, you can share the results with others, including posting to Instagram, Facebook as well as other services you might have installed on your phone. Interesting videos and content I’ve come across this past month. I first became aware of Andy Mumford’s work about 10 years ago. I was reading the ND Magazine site (which is only an online site) when I saw some of his work. I don’t know if it was because they were colour in a site dominated by black and white, but they really stood out. I must admit that like much of the great photography you now see, I forgot all about Andy’s. It was only by chance that I recently found myself on his site, admiring his work, but not at that time realising who the photographer was. 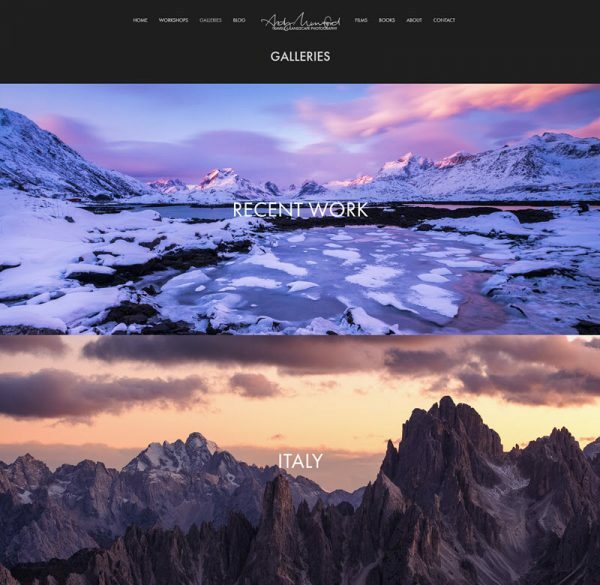 Clearly his skills have stood the test of time and it’s well worth visiting his site. It’s the cornerstone of photography but a surprising number of photographers’ struggle to understand the Exposure Triangle. If this is you, you may want to watch this short You Tube video from Adorama. If you want to skip the promotion for Adorama start watching at 1’ 10”. 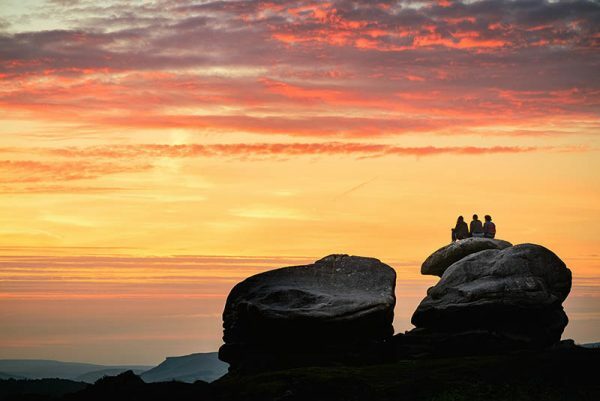 I’m back at Llandudno Photography Club (http://llandudnops.cffgc.co.uk/) on the 12th September 2018 to deliver a new presentation “Lessons for Landscape Photographers”. This complements the new free book for Lenscraft Members (see below). I will also be repeating the presentation at Rhyl Photographic Society (http://www.rhylphotosoc.co.uk/) shortly after, on the 25th September. If you would like to attend either of these, please contact the clubs directly through their websites. Learn about my latest and upcoming releases. 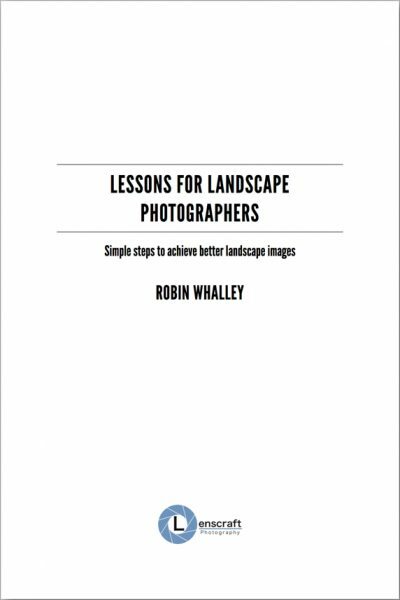 Last month’s free landscape photography book “Lessons for Landscape Photographers” appeared to go down a storm. At one point, the number of visitors trying to download the book crashed my website and broke the link service. Everything has now been repaired, so if you didn’t manage to download a copy please use the link below. 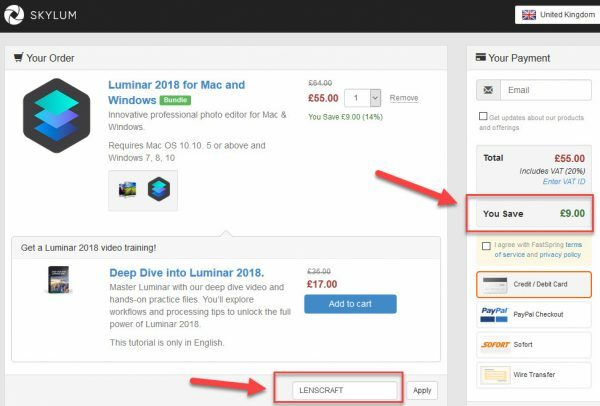 You will need to be logged in to Lenscraft as a member before you can access this page. Last week my latest book launched on Amazon. Whilst the book’s called “Adobe Lightroom Classic CC: Mastering the Library Module”, the version of Lightroom isn’t that relevant. The Library Module has barely changed in years and it can be used with versions 6, 5 and even Lightroom v4. The book is intended to help photographers take control of their photo libraries. Divided into two sections, the first covers the features in the Library Module and describes how to use them. But the second section of the book is what’s really valuable. This is where real-world situations are tackled using the tools in the Library Module. It presents a simple workflow which you can enhance with the features described as the need arises. I’m now working on the print version of the book as well as having a version for release on the Lenscraft website. These are likely to become available around the 14th July, and I will be sending out a short email to Lenscraft Members. I expect to publish the next newsletter on the first Saturday of August. Until then I hope you capture some great photos.